Harden's hometown, Moses Lake, Washington, could not have existed without massive irrigation schemes. His father, a Depression migrant trained as a welder, helped build dams and later worked at the secret Hanford plutonium plant. Now he and his neighbors, once considered patriots, stand accused of killing the river. As Blaine Harden traveled the Columbia-by barge, car, and sometimes on foot-his past seemed both foreign and familiar. 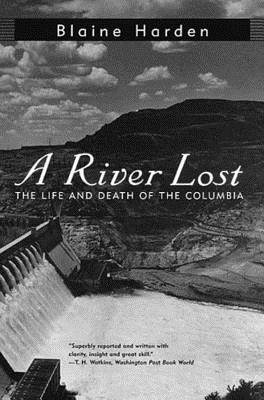 A personal narrative of rediscovery joined a narrative of exploitation: of Native Americans, of endangered salmon, of nuclear waste, and of a once-wild river now tamed to puddled remains. Part history, part memoir, part lament, "this is a brave and precise book," according to the New York Times Book Review. "It must not have been easy for Blaine Harden to find himself turning his journalistic weapons against his own heritage, but he has done the conscience of his homeland a great service.